Denver Sharefest identifies, develops and leads projects meant to empower and release volunteers and donors to use their God-given gifts, abilities and resources to make an impact for the common good. Denver Sharefest is bringing help and hope with no strings attached. If you would like to join our summer 2012 project, please follow the links above. The dates are July 14th to July 21st. Denver has a fantastic public school system and we want to be a part of serving our students, teachers, faculty, and administrators. The best way for us to do that is to help with school improvement projects and makeovers. 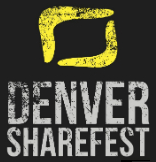 Denver Sharefest is a collaborative project that includes agencies and organizations from all over Denver. Oddly enough, we were born out of a sports league - for more, go to redrockssports.com!